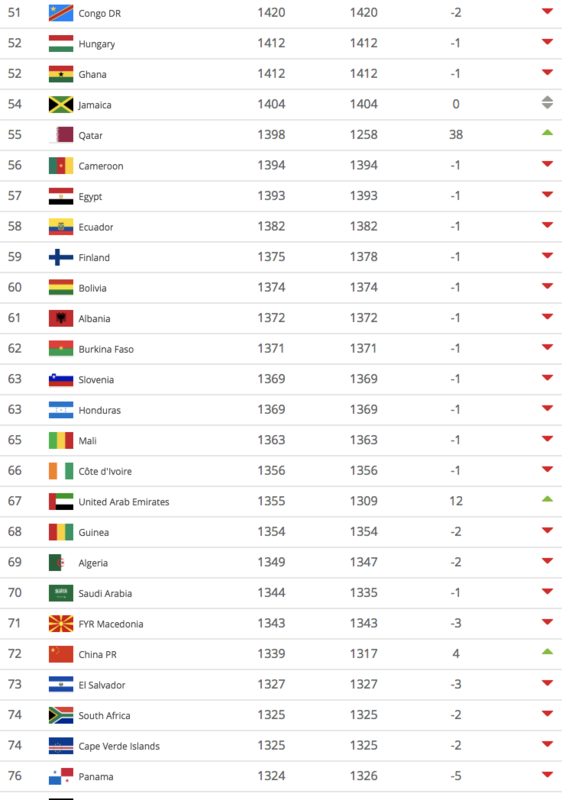 February 7 – The Asian Cup win for Qatar last Friday in the UAE has pushed the hosts of the 2022 World Cup 38 places up the FIFA Rankings, released today, to 55th position, the highest spot the country has achieved since 1993. Belgium remain top of the rankings followed by France, Brazil, Croatia and England. None of the teams in the top 20 changed position. The top Asian teams all saw significant rises up the rankings. Losing Asian Cup finalists Japan leapt 23 place to 27th, while Korea Republic went up 15 places to 38th and losing semi-finalist the United Arab Emirates moving up 12 places to 67th. Jordan, who caused the first shock win of the tournament over Australia moved up 12 places to 97th. 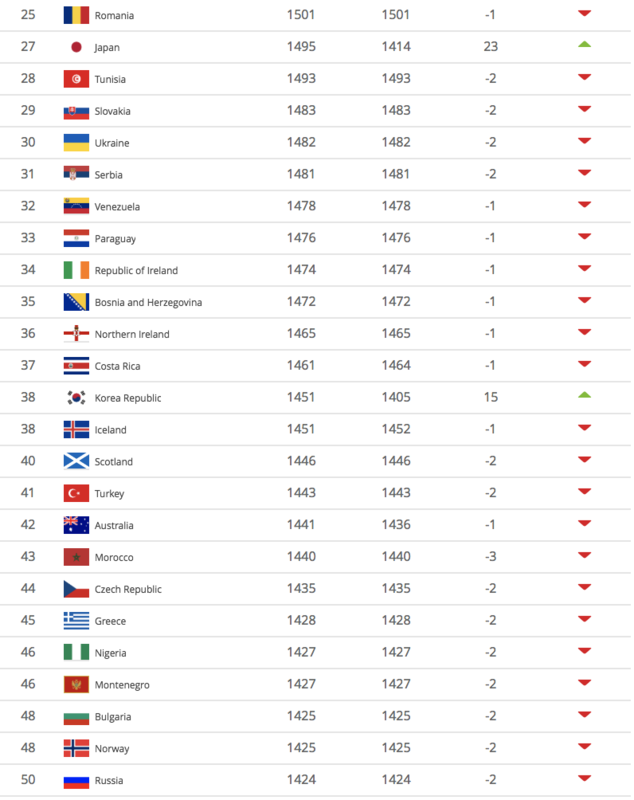 The Aussies dropped a place to 42nd. 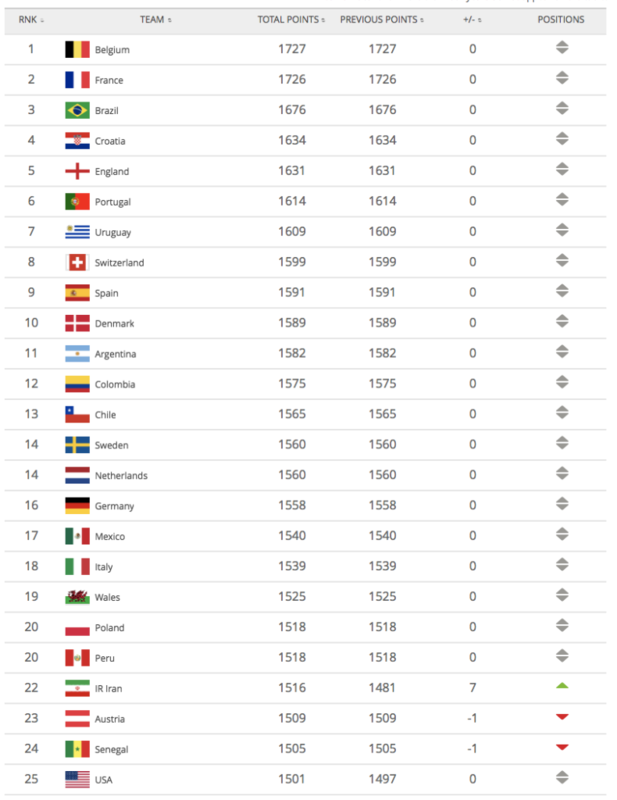 Other AFC movers in the ranking were Iraq (80th, up 8), IR Iran (22nd, up 7) and Uzbekistan (89th, up 6). Qatar is now the 5th placed team from the AFC in the FIFA rankings, and the third-placed Arab national team after Tunisia and Morocco and ahead of African football powers like Egypt and Algeria. Qatar have also put themselves ahead of arch-rivals Saudi Arabia and UAE, both of whom they beat in the Asian Cup. The ranking period covered 73 games with 18 in 2018 and 55 in 2019 – the Asian Cup accounted for 51 of them.